When I see ‘Request a free estimate’ I always think I’m going to get a ‘free ‘hard sales pitch afterwards; it was refreshing not to have this from Tom Bothamley at ChipsAway| What I did get was a free estimate from someone who wasn’t trying to rip me off and who was extremely helpful. My car was repaired without any ... Read more hassle or fuss by someone who clearly knows their stuff. 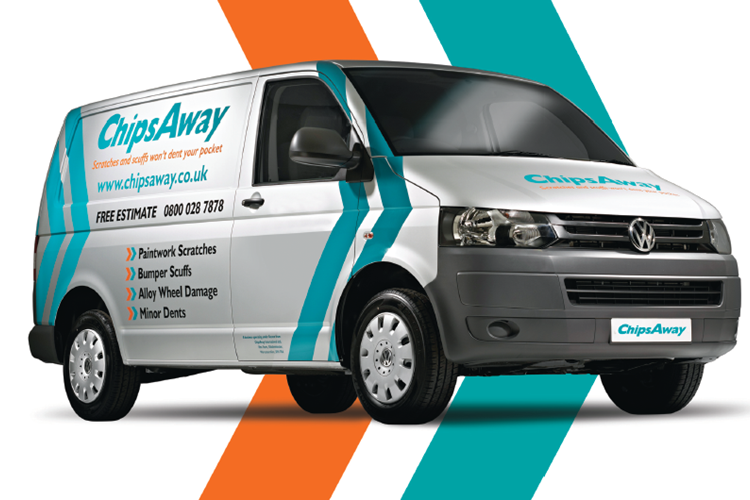 I just feel I would like to compliment Tom & Jonathan and ChipsAway for pleasant and competent service. I know people usually only write to complain, but having worked in the service sector, I understand the value of feedback or constructive criticism. The car looks good, despite a day punctuated with wind, rain and hailstones, but more to the point, it was pleasant competent professional service from start to finish, several hours later. Tom & Jonathan deserve to prosper. I personally would feel inclined to recommend them, even though I will be pleased not to have to seek their service in the future! ChipsAway York (Tom Bothamley) provided an excellent service for my 'challenging' black BMW 5 series. Highly recommended. Thank you! Although my BMW is sixteen years old it's my pride and joy but suffered from scuffed rims spoiling it's appearance and unsure they could be fixed. I wish to commend Mr Bothamley's professionalism and the result of his work having transferred my wheels to as they were when new. Furthermore I was particularly impressed with the ... Read more lengths he went to protect areas outside those he worked on and will have no hesitation to employ Chips Away in the future. A grateful customer. Many thanks for excellent repair you completed and also thanks for squeezing me into your busy schedule. You arrived on time, did the job in the time estimated and kept to your quoted price. You will be my first call when another idiot decides to damage my car and not tell me. This was the first time I have used the service of Chips Away, and so I wasn’t sure what to expect. What I received was an extremely quick response from Tom Bothamley, who quickly gained all the information he needed to provide me with the right information and an appointment, to suit me, was arranged. I also sent photos to him ... Read more which helped both parties ensure everyone was clear. I sent a text the night before to re-confirm the appointment, to which he responded immediately. He was on time, and extremely polite. He had to take my car to his workplace, and as promised called me to advise if there were any additional things he believed may be picked up by the Lease Company. I was surprised to receive a call around 4 hours later, advising he was back in my car park waiting to hand over the keys. Every interaction with Tom was efficient and professional and I would have no hesitation in recommending his services. 10/10. Tom arrived at expected time,very pleasant manner, done a fantastic job on my bumper scuff, already recommended him to a friend. Good time keeping, well explained, good job done with great finished job well pleased. Many thanks for this. Johnny made a good job of my car and is an asset to your Organisation. I was a little apprehensive when you weren’t the one who arrived but, I had no need to feel a little worried. Thanks once again. Used Tom & Chris in York area. Fantastic service from beginning to end. Had quite a significant paint repair on the front of Porsche 911 and they did an excellent job. Also did other bits and pieces at the same time, including some corrosion on the wheel arch. They are not just for small chips and scrtaches. Would highly recommend and would use again. Everything was carried out as required for the job, and by people who knew what they were about, well done and thanks. Fantastic repair by Tom Bothamley here in York from Chips Away. He was truly professional and a true craftsman. Thankyou for the excellent service. Also a truly fast invoice, receipt and guarantee. Arrived on time and did a great job!! From the moment the initial visit to quote for the repair to the finished product - all within the sane week, I was treated as though I was the only customer they had. Excellent customer service and workmanship. Used Tom Bothamley at Chips Away York on a couple of occasions for some repairs to damaged paintwork on my GTC. Can't recommend enough. Arrives when stated. Excellent standard of work IMO Polished out some other bits on both occasions without prompting and in the same very reasonable price. Top stuff. Excellent job from Tom Bothamly at Chips Away! After a very reasonable estimate, collected the car, did first class job and returned it within a few hours. Service is superb and nice guys too! Highly recommend.